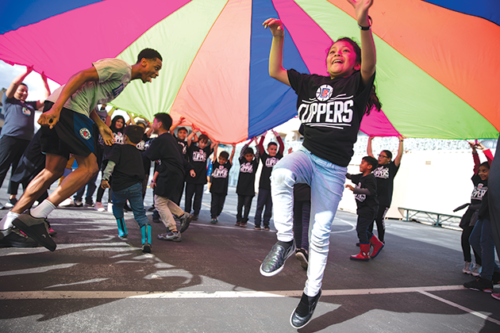 Cedars-Sinai Healthy Habits program and the Los Angeles Clippers recently hosted an after-school fitness program at Cahuenga Elementary School in Koreatown. Players Shai Gilgeous-Alexander and Ivica Zubac, along with mascot Chuck the Condor and Clippers Spirit dance team members, joined 250 children for fun at physical-activity stations and playing games. Cedars-Sinai Healthy Habits health educators, who teach nutrition and fitness at the Cahuenga Avenue Elementary school on Hobart Avenue, led the activities. 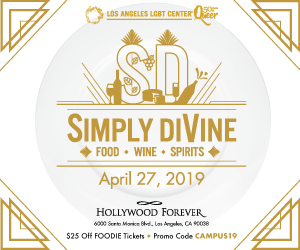 Healthy Habits is a Cedars-Sinai Community Benefit program in 21 LAUSD elementary schools teaching healthy eating habits and fitness to children in the second through fourth grades. For information, visit cedars-sinai.org.